Above you can see a sample of a General, his Aides de Camp and some Brigadiers. Below you may view Saxe-Bearstein's renowned mounted troops. (Note -- click on any photo for a larger view). To view Artillery & Infantry of Saxe-Bearstein click on this link. Great units and command group Jeff. 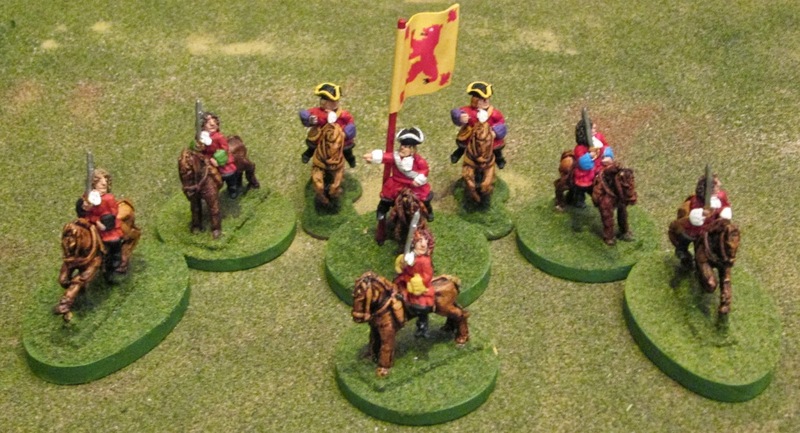 I should have noted that the Brigadiers on round-based standing horses are for Infantry Brigades; and those on running horses on oblongish bases are for Cavalry Brigades. Very simple and elegant figures, together they make fine units with terrific names. Have you been working at these for a while or is this all new stuff?